The Eddy County Sheriff’s Office (ECSO) is investigating the death of a man whose body was found Sunday after four days missing. 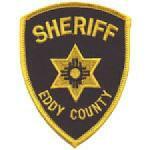 ECSO Chief Deputy Mark Cage reports the body of 27-year-old Michael Martinez of Carlsbad was found around 6:30 p.m. Sunday near White’s City Road in Eddy County after the Regional Emergency Dispatch Authority received a call concerning an unconscious individual. Responding medical and law enforcement personnel determined the subject was deceased upon arrival, and further investigation identified the man as Martinez. Martinez was reported missing Wednesday, Sept. 2, after walking off an oilfield location the previous day. A search and rescue effort was initiated by the New Mexico State Police following the report. The incident is under investigation by the ECSO Detective Division.